A grey Nissan Xterra, not pictured, crashed into a home on March 29 in Harlingen. The crash injured several members of a family living in the home. 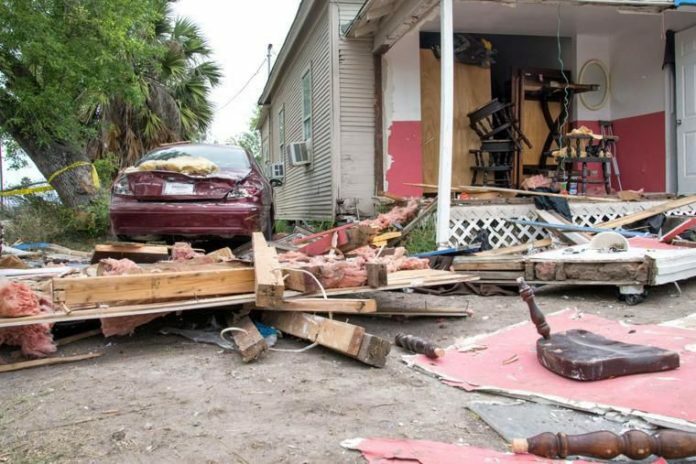 HARLINGEN — A charge for a McAllen man will come weeks after he crashed his vehicle into a home sending five children and one adult to the hospital, police said. Ricardo Cardenas, 65, is being charged with failure to control speed, police said. Of the six people injured in the crash, a 1-year-old boy remains in serious condition and is being treated in a San Antonio hospital — pending transfer to a Houston hospital. The Thursday, March 29, crash occurred at approximately 7:23 P.M.
Cardenas, the driver of a gray Nissan Xterra, crashed into a residence in the 100 block of East Madison Avenue. When officers arrived at the scene they discovered that several victims, one adult and five children, had sustained injuries as a result of the collision. All six victims were transported to local hospitals for treatment. The other victims were treated and later released.